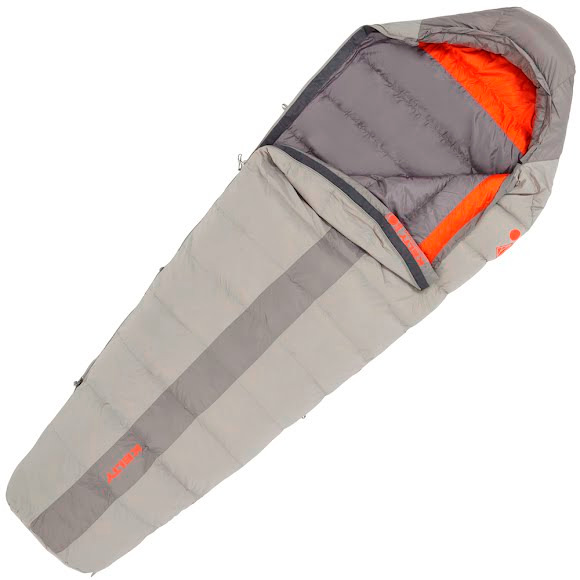 Kelty's Cosmic Sleeping Bag was already giving you a workhorse for the price of a pony. Their most popular bag, the Cosmic is still a three-season superstar with cozy, quick-drying 600 fill DriDown™. But thanks to refinements like soft-as-silk nylon taffeta fabric and a handy stash pocket for your headlamp/chapstick/actual stash, you'll be daydreaming about more QT in the outdoors. Kelty &apos;s Cosmic Sleeping Bag was already giving you a workhorse for the price of a pony. Their most popular bag, the Cosmic is still a three-season superstar with cozy, quick-drying 600 fill DriDown™. But thanks to refinements like soft-as-silk nylon taffeta fabric and a handy stash pocket for your headlamp/chapstick/actual stash, you&apos;ll be daydreaming about more QT in the outdoors. Hydrophobic finish is key to the outstanding performance of DriDown™, enabling products insulated with DriDown™ to stay drier, loft better, and dry faster than products insulated with untreated down. This means any bag or jacket insulated with DriDown™ will keep you warmer, longer in any situation.